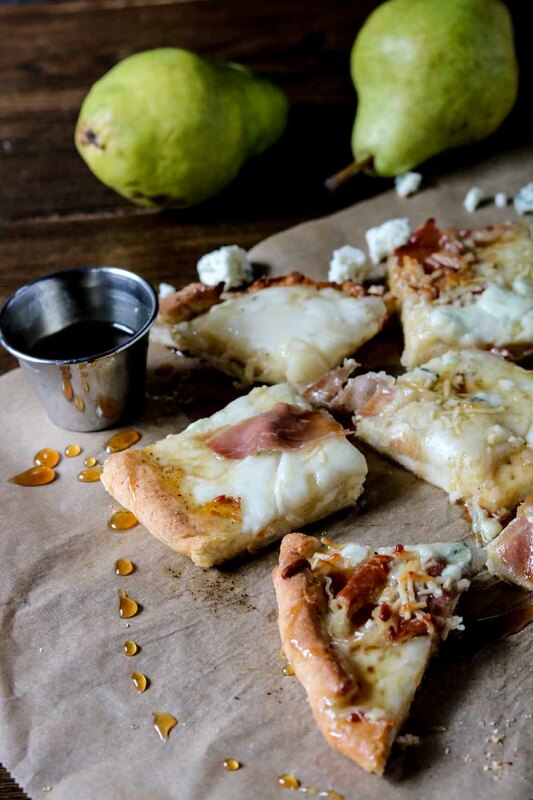 Don’t let the idea of this Pear, Gorgonzola & Honey Gluten-free pizza scare you. I have so much fun trying different ingredient combinations with pizzas. 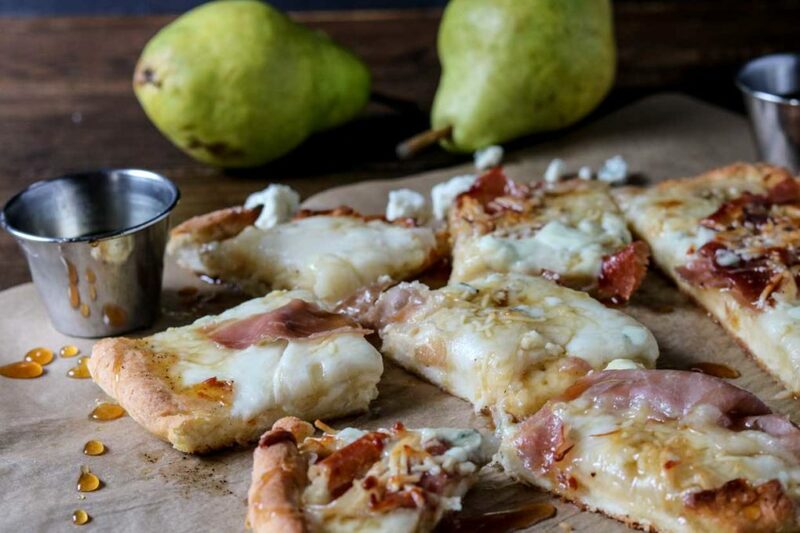 Several local wineries do a fantastic job of creating some pretty unique pizza combinations, too. 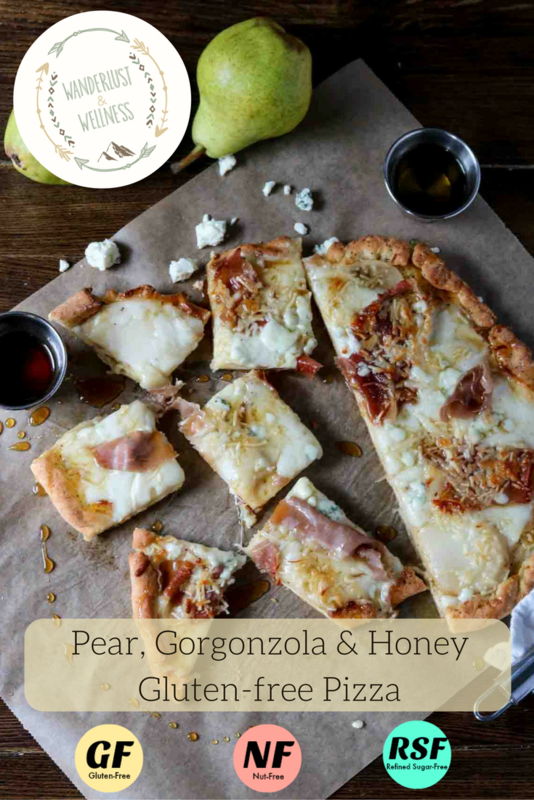 The ingredients in this Pear, Gorgonzola & Honey Gluten-free pizza is a combination of some of my favorite flavors. By themselves they’re not my favorite, but when combined with others, especially ingredients that bring the opposite flavor effect, they’re so good. For this gluten-free pizza I went back to my favorite gluten-free flour company, Cup4Cup, and used their Cup4Cup pizza crust mix. Once again, they did not disappoint. 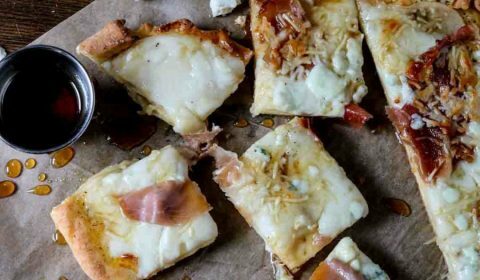 This gluten-free pizza crust takes just like any regular pizza crust. I also used fresh, sliced mozzarella, fresh pears, raw honey, Prosciutto, and of course, a little bit of freshly grated Parmesan and Gorgonzola crumbles. 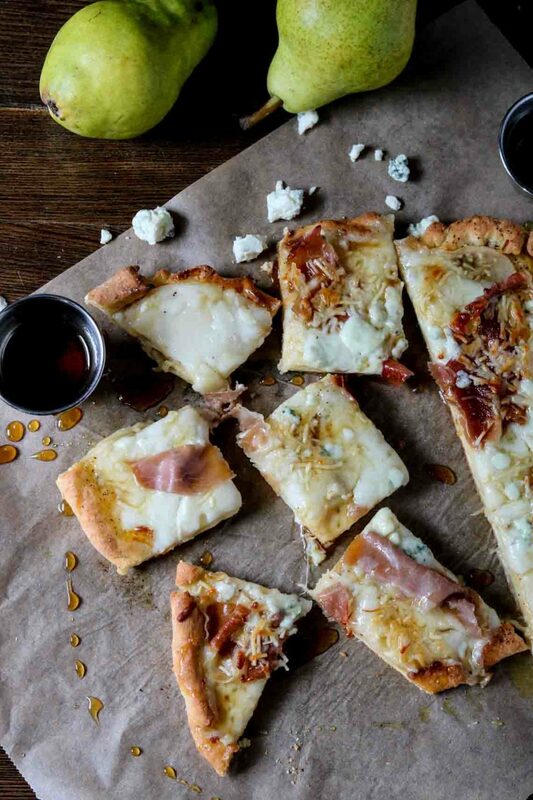 The best part about the honey, you can also dip your pizza into the leftover honey! Your mind will be blown. Such a great combination of flavors. Seriously, please fix this and share on social media and tag me. I want to know how much you loved this pizza, too! Cook the pizza crust according to package directions, but do not add any toppings at this point. Once pizza crust is done baking, remove from oven. Brush on olive oil, salt and pepper. Bake for 10 minutes. Remove from oven and add Gorgonzola crumbles and additional pieces of Prosciutto. Bake for an additional 2 minutes. Remove from oven, drizzle with raw honey. Keep any extra honey for dipping if you’d like.